Annual General Meeting will be in the domain capital of the world in 2021. 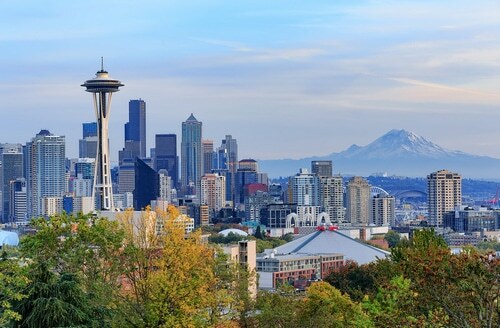 ICANN will hold its 2021 Annual General Meeting in Seattle. ICANN has officially selected Seattle for its 2021 Annual General Meeting. The meeting will take place October 23-28, 2021 at the Hyatt Regency Seattle. Seattle is home to more domain name companies than any other city. It’s the home of Donuts, Amazon.com, DomainTools, Epik and Top Level Spectrum. It also has Enom (Tucows), Google Domains and GoDaddy. DNAcademy is based there and it will soon be the new headquarters for Domain Name Wire, too. Great new hotel, linked to the convention center, good shopping, food, and ent, looks to be a fun event for once.